Are you ready to gain an unfair competitive advantage on Facebook? Would you like to stomp status quo and serve your customers quickly, personally and in a more human way by leveraging automation and a platform that more than 1.2 billion people are currently using? If you answer yes to these questions then you need to understand the power of Facebook Messenger for business and how it can easily help you serve your customers, even while you sleep. Download this Facebook Messenger 101: Get Started Guide for Business for some quick steps to help you setup and optimize the foundations Facebook Messenger on your business Page. Also, check out this recent Facebook Messenger 101 Webinar I recently hosted. It is a special training event jam packed with industry trends and data plus 3 easy ways to use Facebook Messenger to grow your business starting NOW. 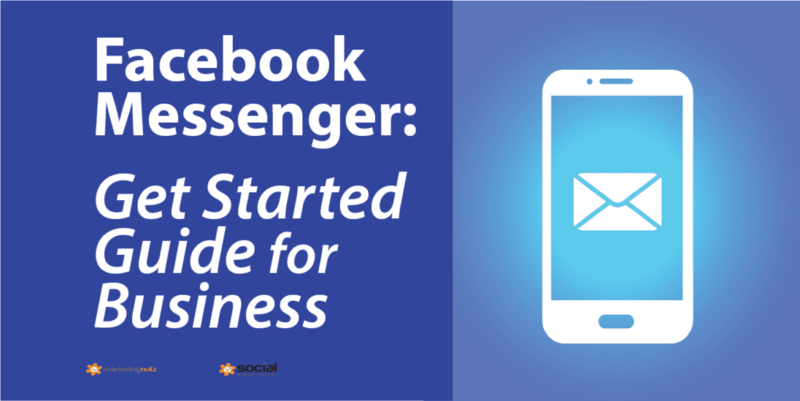 It's a great companion to the Facebook Messenger Get Started Guide for Business. Even if you don't know what Facebook Messenger is or why you should care… you will after this you watch the webinar. Register for the webinar replay now!